Donate Life of Lifeline of Ohio and WVU Medicine Camden Clark Medical Center promote a series of events and activities during the month April to encourage the residents of the Mid-Ohio Valley to register as organ, eye and tissue donors as well as celebrate those that have saved lives through the gift of donation. 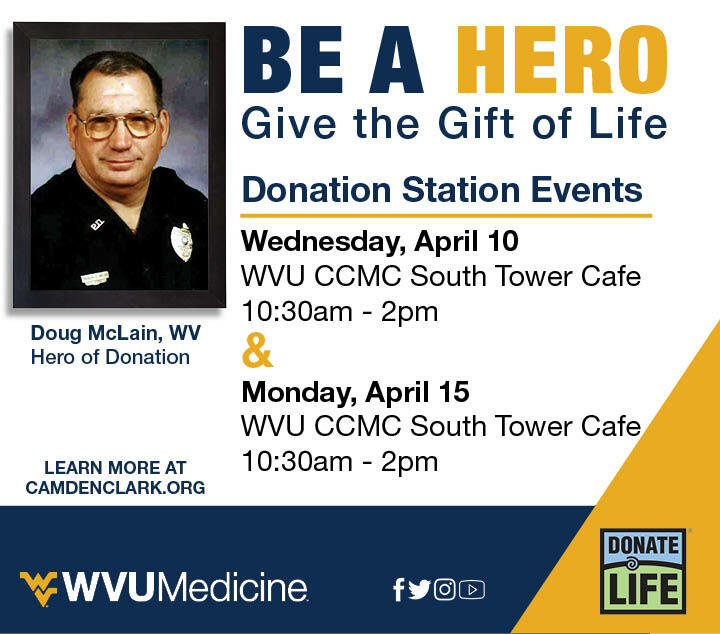 Doug McLain, a former Parkersburg Police Officer and Donor, will be remembered at WVU Medicine Camden Clark Medical Center’s Donate Life Donation Station. On Wednesday, April 10, Parkersburg Chief of Police Joe Martin and other police officers will be in attendance to honor his fellow comrade. Learn more about organ and tissue donation by visiting here.